Could you clarify that a bit for me? The pages lack traditional lines denoting individual panels. Some said they found that confusing as it wasn't always clear what the reading order was. Others thought they were fine. Good question...It did get confusing a few times but for the most part I didnt have any problems with it. What did you think of the layouts on Demon Nic? They caused quite a storm on here at the time. I'm rapidly catching up still so I've missed such storms. I feel really conflicted about Nic - on the one hand I really like Grist's figurework and designs but the complete lack of backgrounds make the story really hard to define and contextualize. Like what room are they in? WAIT THEY'RE OUTSIDE. WHAT WHERE'S THAT GUY COME FROM. As such I didn't engage with it at all. It's a shame because I'd heard so much about him but it was definitely a case of style over substance for me. Gyre was good.We get another Koburn return(always a good thing) in a tie-in to Every Empire falls. Realm of the Damned,I dont know what the general feeling on it are,but I didn't like it.I didn't care for this Heavy Metal reject one bit. Blunt is okay,I guess.Skip it,read it,same deal. Moving on we got The one were Dredd was rejuved.Tensions are pretty high about that one till this day.Personally,I dont find it a problem.Its still the same character just with a futuristic version of plastic surgery.More or less. Monkey business is one of my recent favorites.I hope we see more of Heston,in a few years. You might want to take a gander at this month's issue! There were one or two episodes of Realm.. that were enjoyable but, by and large, it was a very poor fit for the meg. Whereas I enjoyed it very much. The language was a bit 'rich' but I really enjoyed the story overall. Pye's art was a treat. I will get to it pretty soon. 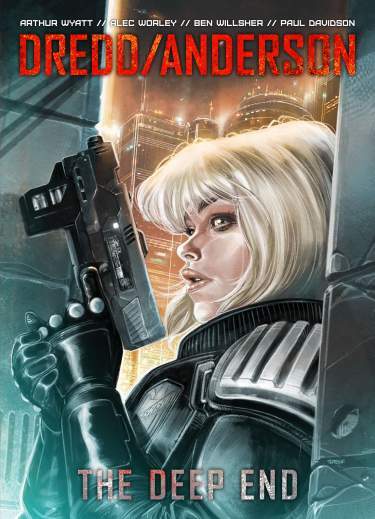 Rubicon Dredd has to rescue a son of a Brit-Cit diplomat who turns out to be Nelson Bunker Kreelman. Its a tough one.It works as a homage/origin story,but it also implies Dredds time is at an end.That part I didn't really like. Lawless is doing its High Noon/Rio Bravo/Outlands impersonation. Im still not sure whats the deal with Havn,so I reserve my judgment there. 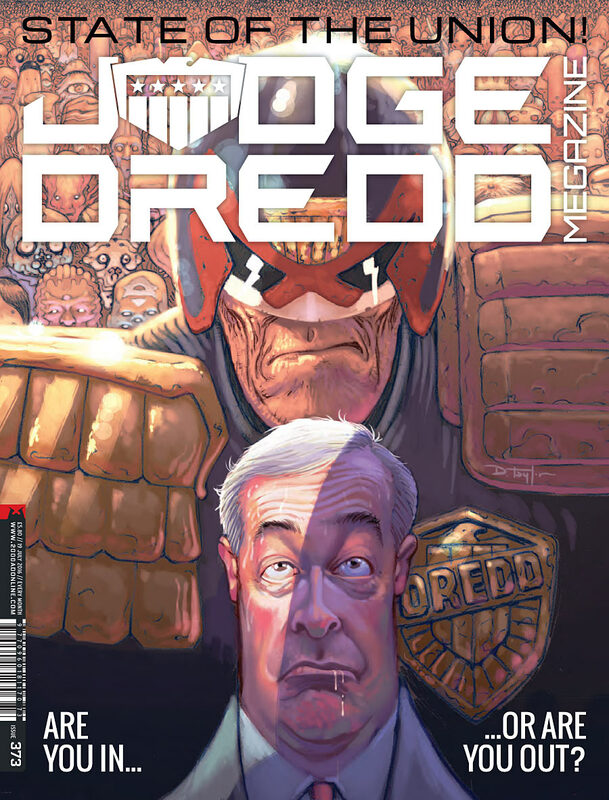 How about a big collection of all the movie-verse Dredd/Anderson strips?Mega collection maybe? Anyway,uncanny,but Heston is back this week. So are the Dark Judges.That promises to be be a bit similar to Alien 3(or was it 4?). We have another Dredd-verse story.I'v got to say,Meg wasnt this strong in a while. And with that,I caught up.I guess the read-athon is over then.Thanks everyone for reading and providing insight;you were a great audience. Yes, Rebellion don't seem to have gone overboard with advertising the Dredd/Anderson collection. It's a good book and the stories work well when collected. I've enjoyed your Meg marathon. It's jogged a few memories and pointed me towards some stories that I missed.